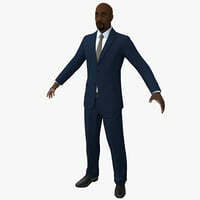 This is a low polygon character for games. 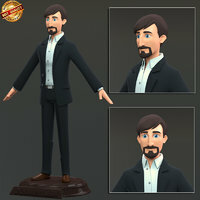 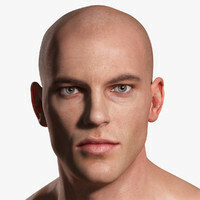 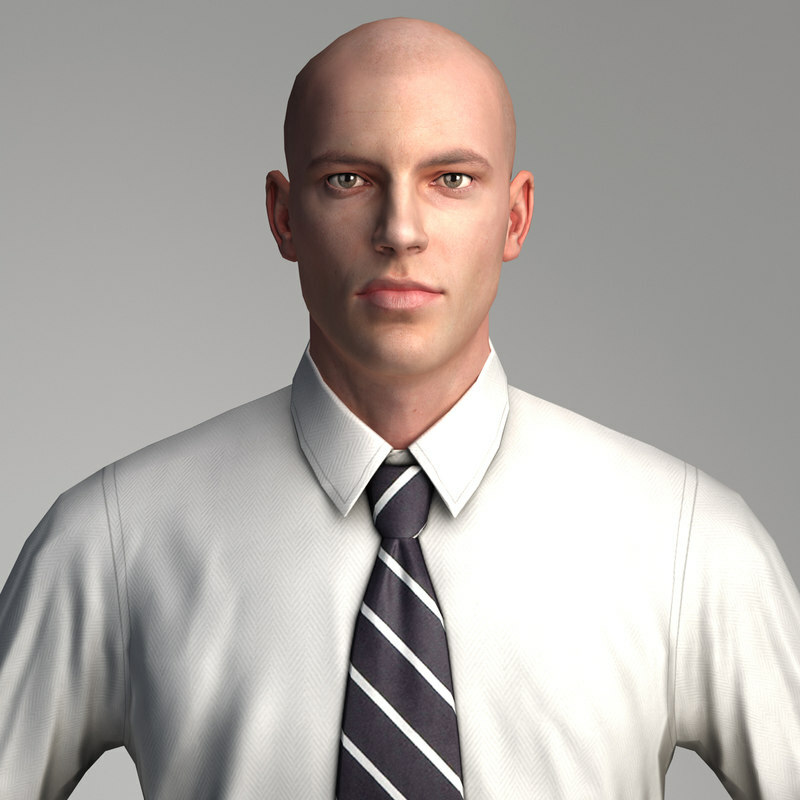 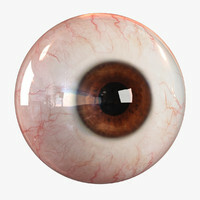 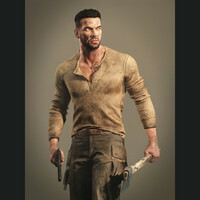 The character was made in 3ds Max, sculpted in ZBrush, textured in Photoshop, and final images rendered with V-Ray and added some post effect in Photoshop. 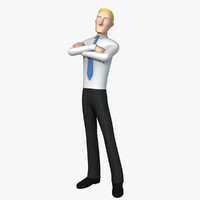 The character has tie and bow tie version. 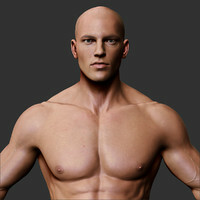 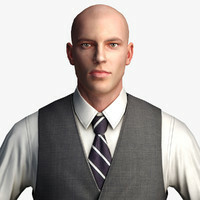 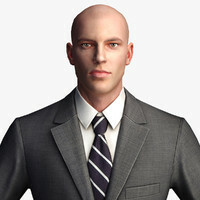 The character was modeled in real-world scale with ideal proportions. 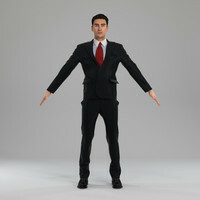 Height of character is 180 cm, the eye size is approximately 2,5 cm. 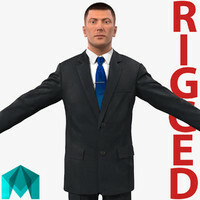 The head is not symmetrical.